Have a question we haven't answered here? Call our customer service M-F 8am to 4pm. We invite you to email us with your question (photos, recipes, etc) and we'll routinely list it here! 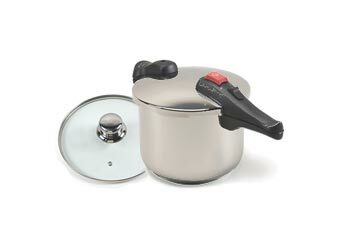 Pressure Cookers are a great way to lower your food bill and feed your family. 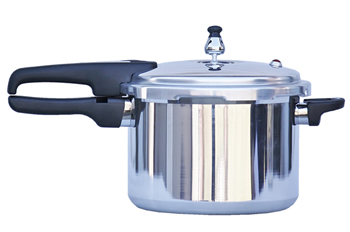 At Pressure Cooker Outlet we offer a variety of Pressure Cookers for you to compare and purchase. 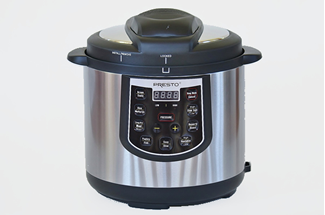 Our line of Presto Pressure Cookers are made of high quality aluminum and stainless steel. 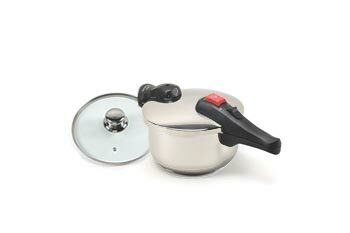 The Mirro Pressure Cookers works well with small and medium size kitchens. 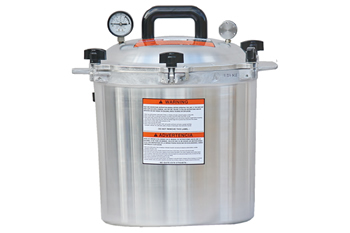 We also offer All American Pressure Cookers from Wisconsin Aluminum Foundry that are made in the USA. 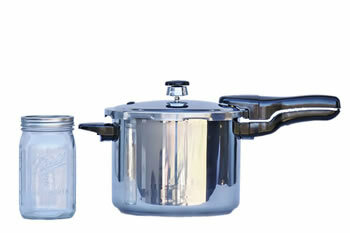 These Cookers are more commonly known as the All American Pressure Cookers. 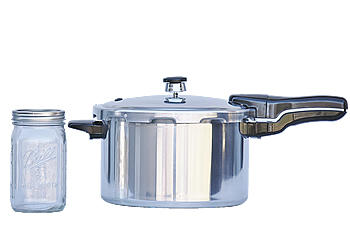 Chef's Design Pressure Cooker have great looks, are safe to use on glass top induction stoves and have excellent performance. 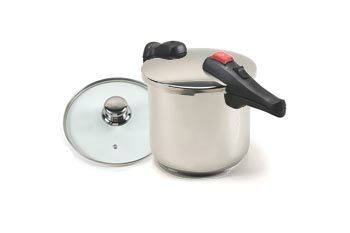 All stainless steel cookers can be used on induction stoves (this includes glass-top stoves). 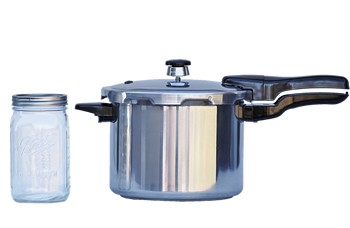 Stainless steel models are made available in all Chef's Design models and the three Presto options below. 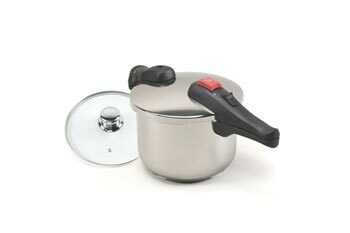 Stainless steal pres sure cookers have the proper conductivity (featuring an aluminum plate in the bottom) for fast pressure cooking and safe use on induction stoves. 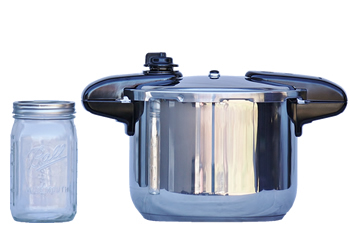 Stainless steal works equally as well on gas, electric, and ceramic cook-top stoves. 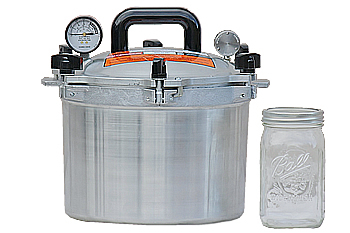 The only pressure cooker that can be used for canning. 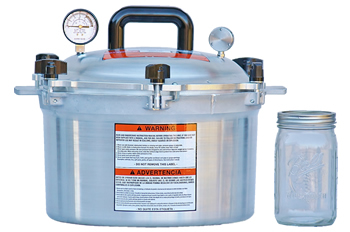 Before the pressure cooker was invented, cooking food was a very difficult household chore that could sometimes take an entire day for just one meal. Cooking happened on wood stoves or over open fires. This could result in food not being cooked well, but people made do with what they had and went on about their lives as they did not have any other options to choose from. In 1679 a man named Denis Papin came along. Papin was a French mathematician and physicist. 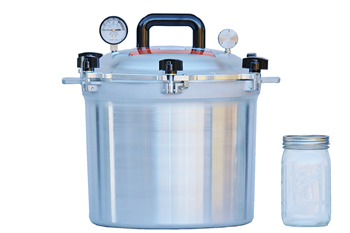 No one truly knows what inspired him to invent to pressure cooker, but invent one he did and he named it the Papin Digester. 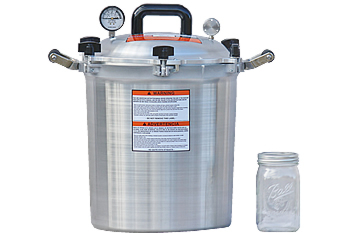 This ancestor to our current pressure cooker was a cumbersome machine that had a reputation for being dangerous. It was hard to regulate the temperature and steam so having one explode was a common occurrence. One of the problems it had? It was created with cast iron. 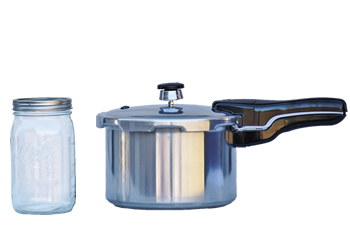 In the past 330+ years pressure cookers have gone through a vast variety of changes. 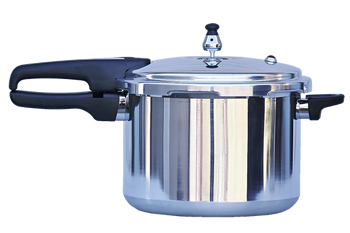 Today's pressure cooker is much safer than the original. 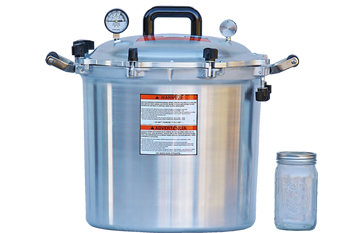 However, the idea behind the pressure cooker is still the same, to cook food more quickly and efficiently, to have the food be more flavorful and tender than traditional cooking methods. 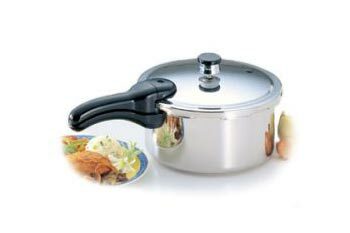 Your pressure cooker will save you time and energy in your kitchen and it will allow you to create delicious meals quickly and with ease.